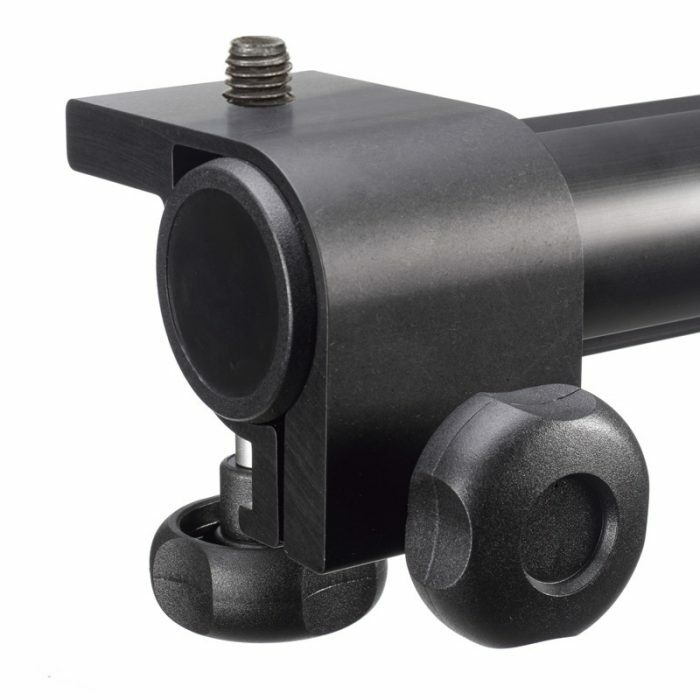 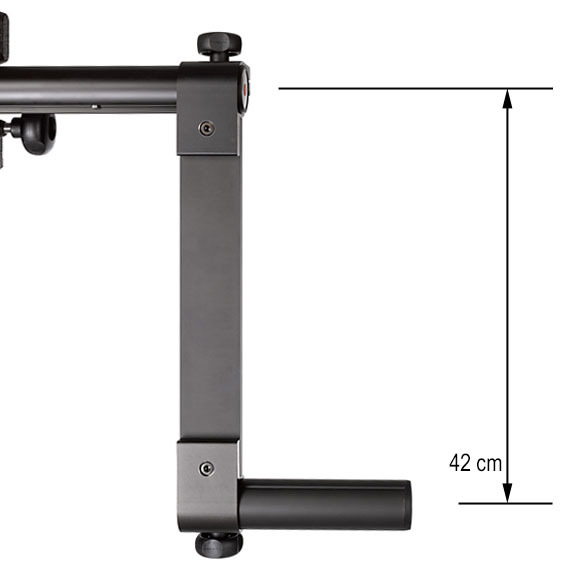 MONO-25 mounts to the Crossarm of the MONO Stand and brings the end of the crossarm at a 42cm (16″) lower position. 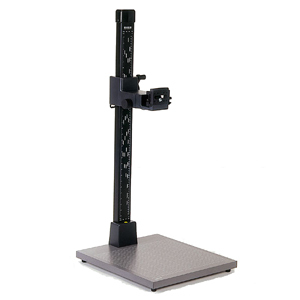 On the small extension of the MONO-25 you can mount the original MONO-20 camera platform that came with the stand or mount an optional extra MONO-20. 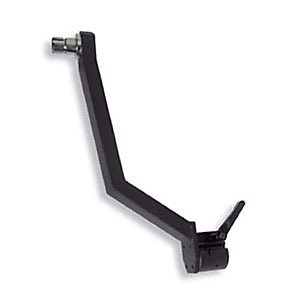 The adapter can be mounted on the left side or the right side by choice. 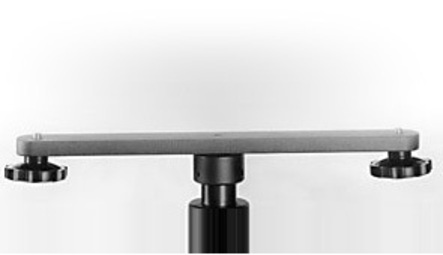 As the mounts rotate 360 degrees, you can point this adpter also in a different direction than straight downwards.